Pat Hume, wife of Nobel Laureate John Hume presented Niall O’Dowd with the award and referred to his success with a number of Irish-American publications, his tireless work with the Irish émigré in the US and how he played a pivotal role in the Irish Peace Process. Just before the main award ceremony took place, Michaela O’Neill Daniel, Tip O’Neill’s granddaughter presented Irish American Partnership Bursaries to a number of national schools in the Buncrana area. 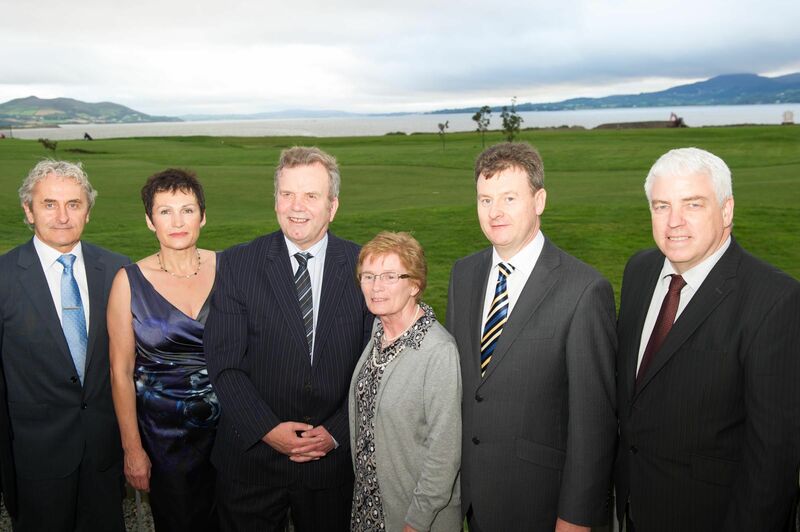 On Saturday, 9th September, over 150 people attended the first annual Tip O’Neill Irish Diaspora Lecture. The lecture was entitled, ‘Legacy, Leadership, Diaspora’, and was delivered by Professor Emeritus Paul Arthur of the University of Ulster. The ongoing links between O’Neills and Ireland have been assured with the decision to make the award and lecture annual events in Donegal.